First class was first class! We’re #2 on list of Top Organic Gardening Podcasts from Feedspot Content Reader! Episode 1: Denny Krahe | Fitness and Nutrition Coach |DK Fit Solutions and Better Health 101 Podcast | Central Florida. Episode 5: LaDonna Kinnick | CFH (Certified Family Herbalist) and organic gardener. Episode 44: Megan Cain | Creative Vegetable Gardener Website | Madison, WI. 182. Happy Fourth of July 2017 Green Future Growers! 253. No-Till Farming ~ Nutrient Rich Soil Health Expert| Steve Szudera | BEACH, N.D.
From brown thumb to green thumb! | Listen to my Organic Gardener Podcast journey on the High Energy Girl Show! Kathi O’Leary shares her passion for gardening, her amazing knowledge gained over 35 years, and valuable tips to make your gardening journey successful! She’s grown garlic for private clients, sold starts at the farmer’s markets, and grafted fruit trees for her own orchard. Living in the Rocky Mountains, Kathi shares her experiences of living off the grid, hauling water, and growing a garden close to the earth. In 1978, my late husband and I moved onto 20 acres in the woods in North Idaho. I was 21 so I had a lot of energy. It was a basic piece of ground, I started gardening the following spring. I was digging rocks out by hand, and building a deer fence, we had no running water or electricity so I hauled water from a nearby creek. Over the years the garden got bigger, I planted fruit trees every year, many of which I grafted, then I got a small greenhouse, and then I would sell starts and extra produce I had at farmers market. So I started growing garlic, I like garlic, over the years built a bigger greenhouse, eventually I basically just sold to friends, and private clientele. Hauled water from the creek, and had a gravity feed system into the garden. Early in the spring I couldn’t get to the creek, so I would melt snow in early March. Last few years I have been living in Trego, MT but still have my place in ID. I still grow my garlic back there, and am experimenting growing things that don’t need attended too much, and my fruits trees have to make it on their own. The elevation in Idaho is about 2800’ and here it’s about 3200’. It’s a lot colder here. Season here is a bit more extreme. Hotter and dryer in the summer but short, and much colder in the winter and early spring. Have really scaled down to a 4x4x12 foot cold box and a fruit trees and building a greenhouse that should be operating in a couple. Tell me about your first gardening experience? Grew up in Washington State and Central coastal California, Santa Maria area. Moved up to Sierras and lived there for a couple of years. Always wanted to live in the mountains and grow a garden ever since I was a little kid or become a street musician in San Francisco. Lots of instruments, harps, guitars, accordions, ukuleles . Have always loved working with plants. Probably my biggest first start was my grandmother. She always had a vegetable garden in Issaquah WA, my mother grew plants but more flowers and berries. What does organic gardening/earth friendly mean to you? Nurturing the soil. That’s the most important part of organic gardening. The health of the soil and nurturing that. Who or what inspired you to start using organic techniques? I don’t know who inspired me. I’m not certain my grandmother grew organically, it was never a question to me to not use chemicals, it seemed natural to grow things without the use of herbicides or pesticides. Just something I felt very moved personally to do. How did you learn how to garden organically? First winter in Id, moved on our land in November which is kinda silly, but we were young and it all worked out fine. That first winter I read, I read, and I read. I read a lot of Rodale publications, checked books out of the library, had a subscription to Organic Gardening magazine, wrote a lot of notes about the things I read, and started a strategy about the garden for the spring. I also met a woman about 7 miles away who had been living there for quite some time and she shared a lot of info about different varieties of what would grow well there and shared her experiences. And of course, the long slow process of years of mistakes and successes, that is the most valuable experience. Tell us about something that grew well last season. Had the best crop of fruit on my trees that I ever did. Much to do with the season, some of the trees are 35+ years older. Huge crop of apples and pears and plums in my garden in ID. I had also planted a few other things that I wasn’t tending to. I broadcast seeded some kale early in the spring. Whenever I was there I would water and pick, I had a great crop of kale which is a fairly easy crop to grow, and I also had a good garlic harvest. For about 10 years I worked at a tree nursery. We would graft seedlings there during 2-3 months in the winter. I decided to buy some root stock. Most fruit trees have a really hardy root stock. Super hardy but doesn’t necessarily have a lot of fruit. Slice off the small seedling, up a few inches 8” or so, do another slice on a cutting off of a tree that has really good fruit, then you wrap them together. You can wrap them together with electrical tape, at the nursery we would use tree rubbers – kinda flat like a rubber band and you could wrap it around the tree and someone would put wax on it to keep air away from the two pieces. Grafting in a field usually doesn’t take as well because you have elements, cold, air, wet. But I had really good take on the apples that I grafted, and they have been producing really well for a while now. Unfortunately can’t remember what varieties, probably have some notes somewhere. Purpose is to have a hardy root stock, that will live these cold Northern winters but then you have a good variety. Some are Macintosh, which are a nice fall apple, some nice yellow transparents that are an early summer apple, that don’t keep as well, and then several other varieties. Most of the ones I experimented with did take. Is there something you would do different next year or want to try/new? Here in Trego where I have running water and electricity. We tried to do an automatic sprinkler, drip system on the cold box last year. This year I have the opportunity to do a bit of traveling after staying put for 35+ years, and pursue my music a bit more. So the automatic drip system is what I am excited to try. Tried a lot of things in ID where we had gravity. What worked best for me, which was not the most efficient for time, but was hand held watering. I paid attention to what needed water. Because I tried using drip irrigation, but the water just kept getting clogged up, and I tried a filter, which would get clogged. And just kept coming back to just standing there with the hose. But not a bad way to start the day. Tell me about something that didn’t work so well last season. Automatic Sprinkler system that we’re gonna sort out this year. Something that you find is easy to grow and is generally successful every-time. Early spring greens, as soon as the ground can be worked, things like mustard, arugala, and lettuce, and peas, and radishes. A lot of times I plant that I like to use the row cover, Agribon or Reemay. Like Johnnies seeds out of Maine would sell this. I had a friend who was a market gardener in Moise Springs and she would buy it in bulk and I could buy a row’s worth. I don’t know what the fabric is, it’s like a spun polypropylene and it allows moisture and air to flow through, and protects till about 5 degrees, and it’s really handy in the early part of the season and the late part of the season. You can plant things as soon as you can. Plant the row cover over it. They come up through the holes. People used to use plastic but this fabric is wonderful. You have to use rocks to keep it down or put it over pvc. I have grown peppers like that for the major part of the season. 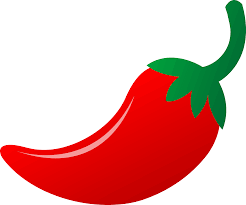 I would grow those a lot, because others couldn’t grow those, I would grow tons of hot peppers and protect. If you wait to long when the weather turns hot, they will bolt and go to seed. Something you would steer new gardeners away from that you find is typically challenging to grow in your climate. In this northern climate, anything that requires a warm season and warm nights like watermelons or okra. If you want to play around with it it’s ok, but don’t plan on having a crop, especially something like okra that requires warm nights. The way you find these things out is from the seed packets or talking to local gardeners. If there’s a vegetable you really love, you might want to find out first if it’s really seasonable to grow in your area. Also, don’t plant the tender plants too soon, it starts getting warm and people get excited and run out and plant and then in 2 weeks it gets cold and they die. If they make it through some cold conditions they end up being stunted, and if you plant later they end up surpassing them in the end anyway. Wait until the end of May or early June. Which activity is your least favorite activity to do in the garden. Pulling quack crass. It has these rhizomes that just go on and on, and if you leave a tiny piece it grows. One year I was so determined to find something useful with this tenacious weed, and I had some really long rhizomes, so I actually tried to use them as string but they dried out. When I did have a really big garden in Idaho, the fall clean up after the frost, was necessary but not my favorite thing to do, especially after the frost things start getting slimy. I would wait for snow so I could quit working. Here in Trego, with smaller situation and learning what the problems are here the most difficult is trying to keep the Canada Thistle back and trying to protect everything from the ground squirrels. What is your favorite activity to do in the garden. Setting in transplants. I would grow my own starts. I would harden them off, which means bringing them in and out of the greenhouse and getting them used to the weather. Then setting in the garden, and all these places that were bare and then there’s like instant garden at the end of the day. Tell us about the best crop you ever grew. As for crops of vegetables, one of my varieties of garlic called northern white, very consistent every years, also a hot pepper – Louisiana hot also called Arledge hot, very prolific, tons of hot peppers, about the size of a jalapeño or bigger, beautiful compact plants loaded with peppers. What is the best gardening advice you have ever received? Notion of succession planting. Really useful in these shorter growing areas. Not really companion planting. Planting say radishes, that are going to grow fast and then they are going to get out of there, and then plant something else that is going to grow longer and be there the whole season like kale next to the radishes, something in succession that would be out of the ground before it crowds. In wide beds that something that’s easy to do instead of rows. 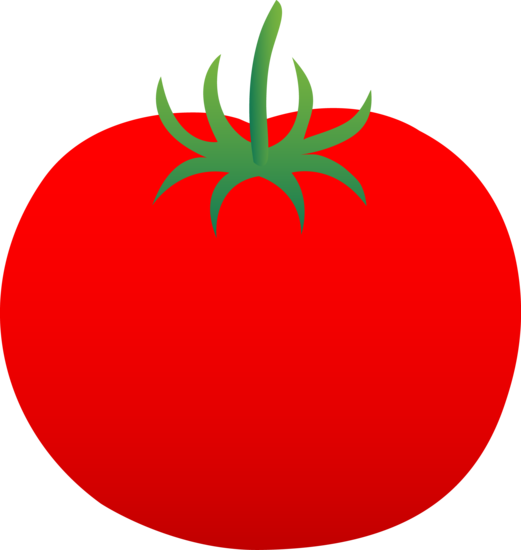 Another tip from a Mennonite farmer out of Bonner’s Ferry that has to do with tomatoes, in this climate it’s challenging to get ripe tomatoes on the vine, but if you stop watering in August it kind of forces the tomatoes to. Would cut back a little, and then by mid August pretty much stop. Have you ever entered a fair? How’d that go? A favorite tool that you like to use? If you had to move and could only take one tool with you what would it be. Practical but very sentimental. Little three pronged sort of rakey thing that was “Me grandmother’s claw” looks like a 3-fingered claw. I would always freak out if I left it in the garden. Eating or harvesting vegetables or fruit on time? Everything is a little different and the requirements are different for when they’re ready to harvest. If you have apple trees, they start falling on the ground that’s an indication that they’re ready. If you’re super busy you can let some fall and then you can use the ones that fall for apple sauce. If you want to pick at prime when you start seeing apples start to fall. I hold onto an apple if it bends on stem and it comes off easy it’s ready. Same with pears. If you cut them in half and the seeds are brown it’s ready. If the seeds are not brown yet they are not ready. Yellow transparent apples are very susceptible to going bad fast, they will start rotting on the ground right away. They are really good for pies or apple sauce. Do you have any secrets for preserving food-making it last? Have done a lot of canning, freezing, pickling, and storage. When you’re gonna can and pickle, it’s best to pick them when they’re ripe and put them up right away. Don’t pick one day and then can 2 days later. Product will be so much better if you pick em and put em up right away. 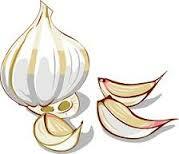 Garlic: For harvesting garlic, usually planted in the fall before the ground freezes. You can plant it in spring but you won’t get as big of bulbs and you’ll have a later harvest. Planting garlic in the fall, gets early start in the spring, it ripens and is ready to harvest late July and mid-August, and you need dry warm weather to cure, so if you plant in spring it won’t be dry and hot enough in fall to cure. Some people like to let plant dry out and fall over. Leaves represent the bulb wrappers, if you have all dead leaves, all the bulb wrappers will be gone, need the bulb wrappers for storage. Each green leaf is a bulb wrapper. Want to harvest when it has 4-5 green leaves left. If you’re new to this, you might want to dig around and make sure it is formed into the ball, and wait till you have 4-5 green leaves. You don’t want to water after July if it was planted in fall. I never water garlic crop, winter snow does a lot when it melts. Nice crop which doesn’t need me there staring at it. When you pull it you want to lay it on screens or hang it in bundles of 8-10 in a shaded ventilated area outside. Don’t expose it to the sun. Roots will absorb more moisture then the leaves will when curing. Start clipping the roots off in the summer. Onions. When you’re growing onions, it’s the same thing, they will be done later at the end of August, so you want to quit watering them at the beginning of August. When they start to fall over you want to let them sit in the garden for a couple of days, and then you can pull them. I put onions on racks in a well ventilated shaded are like you would for the garlic. Make sure you don’t clip the tops off before they are completely dry, otherwise they could get rot in the onion in storage. Potatoes. Vines have to be completely dead. If it’s getting super hot into the 80s+ its gonna get too hot. Carrots. What I like to do when I keep carrots I grow them in a wide bed, which is more efficient for space. In the fall mulch with some nice dry straw or leaves, or plastic, drive a stake into the front of the row you’l know where it is. If you don’t have ground squirrels, you can leave them in the ground and dig through the snow and dig 2 weeks worth of carrots at a time. They are just so fresh, and sweet when they’ve gotten cold. If you have a nice layer of mulch, the edges might freeze a little, but they shouldn’t freeze. What do you mean by a wide bed? Instead of old fashion long beds with one row of carrots or one row of lettuce plant take about a 3 foot wide area, something that’s easy to reach from both ends and then plant in that. For carrots instead of doing long rows of carrots in wide beds, I do short rows of carrots across the width. So you have all these short rows of carrots. Don’t have paths between little rows of vegetables. A favorite recipe you like to cook from the garden? I made up this favorite recipe, one year, when I had a lot of patty-pan squashes. I would pick them when they weren’t really huge. I make grilled patty pan pizzas. Cut in half, use homemade pesto, sliced cherry tomatoes, freshly shredded parmesan cheese, sesame seeds and then put them in the barbecue. I lived that off for weeks one summer. Do you have any special techniques for cooking weird or unusual foods? As a kid, we made what I call pocket stew, we would take it camping, cut up some vegetables, put some olive oil on them and wrap in tin foil, and then put them in the camp fire or grill on the bbq and you would have easy steamed vegetables for camping etc. I’m kinda of a novice to the internet. Just discovered I can google things and found out about wikipedia. Started looking up info about Canada Thistle, and was dismayed that it can grown 20’ deep and 17’ laterally and the seeds can live 20 years! A favorite reading material-book, mag, blog/website etc you can recommend. If you have a business to you have any advice for our listeners about how to sell extra produce or get started in the industry? It’s a very very time consuming situation. Any time I did that type of work I didn’t do it to make money, but as something I super enjoyed doing, I have always followed my heart, rather then being practical. If someone is interested in making a little extra money off of starts or produce check out your local farmers market first and see what people are doing there, and see if there is a niche you can fit into there. I did it probably for 10-15 years but it did grow tiresome. I did enjoy my own clientele. Can probably build up a private clientele from there. I was just gardening for myself also, and then there would be a bazillion times more then I needed. I did quit growing produce for sale because I thought I’m hauling water it’s ridiculous to grow other people’s vegetables. But garlic which grew very well for me but does take a very fertile soil. If you are going to go into a commercial farm, or perhaps you’ve gone to school or perhaps you have experience and you know what you’re getting into. Otherwise I’d say poke around and have fun with what you want to do, and if you have some extra start at the farmer’s market. Final question- if there was one change you would like to see to create a greener world what would it be? For example is there a charity or organization your passionate about or a project you would like to see put into action. What do you feel is the most crucial issue facing our planet in regards to the environment either in your local area or on a national or global scale? Most crucial issue facing the planet, over population which leads to pollution and aggression and wars those are the really crucial issues facing the planet. Something one person can do is grow you’re own food, and/or buy locally. Don’t have to transport stuff from way far away, keeps things closer, so grow your own and buy locally. Do u have an inspiration tip or quote to help motivate our listeners to reach into that dirt and start their own garden? “It’s all mulch in the end”. If you have any comments, questions, guests you’d like to see, or topics you’d like us to cover please send us any feedback positive or negative. We’re here to serve our audience and we can only improve with your help!!! Thanks for visiting Mike’s Green Garden changing the world one garden at a time.